Most noticeable in this update is the fact that Android Pay has more or less been restored into a state of functionality. Reports show that some people have their mobile wallet well set-up with the debit and credit cards linked in with it. However, this apparently only worked for people who previously had the two linked together. Others have reported that connecting the mobile wallet and a credit card ended up not working. Besides a few interesting features that will appear to the Android O, Google has also informed that there will be a new version of the developer beta showing up soon. This means that enrolling into the program is possible, and those with the compatible devices can test the beta. Of course, this is limited to Nexus and Pixel devices. The previous build for the Android O beta has had the number OPP2.170420.017, while the newer version that will be available for the Nexus and Pixel devices will have be the version OPP2.170420.019. 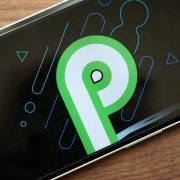 Information as to the motives for this new patch are yet to be known, but for now it is known that it fixes several components of the Android Pay function. We know from the previous build that several applications, Android Pay included, have not been approved with the Compatibility Test Suite, or CTS, and resulted in them not working. As for the current build, it does seem to suggest from the patch notes that Android Pay was passed through the CTS and it should be working properly, despite earlier reports of issues. You can still use the Android Pay to open up rewards or gift cards. There have been some issues reported with the update for the OTA by a few Nexus device users. Presumably, there is an issued with the fingerprint scanner in the current build.